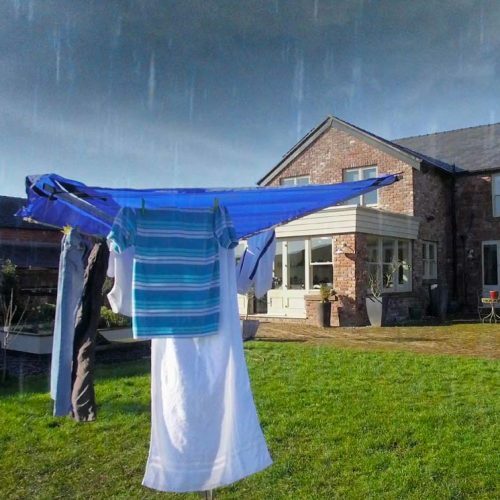 Rotamate washing line covers are the environmentally friendly way to protect your laundry from unpredictable weather. 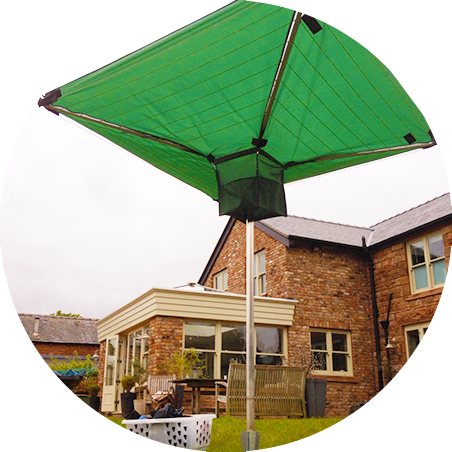 Fully waterproofed, UV coated premium rip-stop panels offer complete protection from Rain and Sun bleaching. 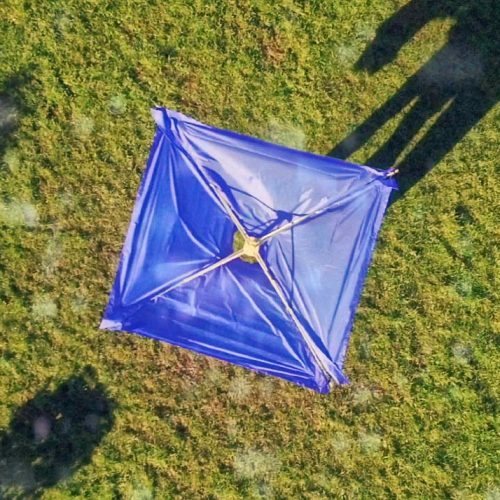 Designed with practicality in mind, simply fit your covers once to any model of Rotary Airer, leave on whether Airer is collapsed or erect, and continue to dry outdoors come rain or shine. Rotamate covers are energy rated A+++, helping save you money, time and effort while also reducing your household’s Carbon footprint. As seen on Dragons Den UK. Declared an “eco must” by TV’s Queen of Green Penney Poyzer. The first realistic alternative to tumble drying. outside for free, come rain or shine. Sunglasses and sunscreen protect you from sunbeams. Protect your clothes from fading, and fend off any firebombs from hovering birds above! 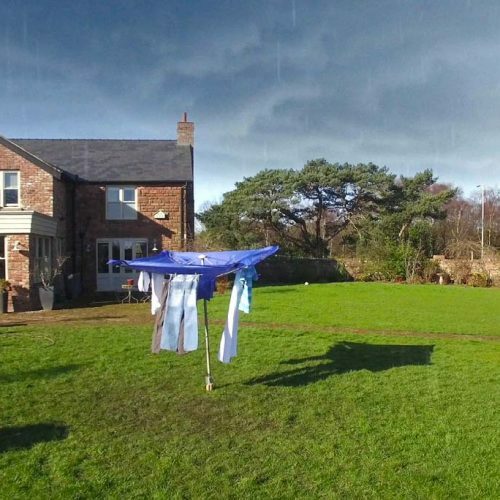 but leave the washing out all day? 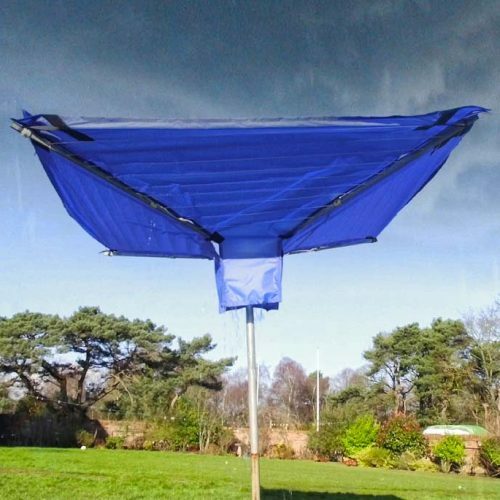 because sometimes in Britain, it rains!